Oceanfront 90 mm Plantation Key, voll in Terrasse um 28. 5 ft abgeschirmt 6. 5 ft. Neu gestaltete weißen Fliesen & Berber Teppichboden. Oceanside, so dass wir dynamische Sonnenaufgänge und von den Dachunbezahlbar Sonnenuntergänge. Dekoriert Florida Stil, Kunstsammlungen des Meeres und seiner Kreaturen, sehr sauber und gut gepflegt. Friedlich und von der Autobahn entfernt. Wir besitzen 1 Eigentumswohnungen in dem Komplex. Sie sind voll am Meer. Will schlafen 4-5 Personen. Ansicht bonefishing und schöne Vögel und Fische aus den abgeschirmten Terrassen. Großen Pool am Meer mit Strand Grills zum Grillen. \ Wir sind in Islamorada Einheit 209 VR 026 lizenziert. Klimaanlage, 2 Kabel-TVs, Mixer, Kaffeemaschine, Toaster, Holzkohle, Grillabende am Strand, Hafenbecken und dem Yachthafen für Ihr Boot eine Meile entfernt, in Terrasse Abgeschirmte 30ft lang, High Speed ​​Internet (Comcast Kabel) verfügbar. The main reason we are giving this a lower rating is because it was not disclosed that the master bedroom shares a wall with the elevator and trash chute. It was very loud and disruptive at all times of the day and night. It was even loud when sleeping in the 2nd bedroom. It was very, very much a drawback to a relaxing vacation stay when we were looking forward to getting some extra rest. We did receive a $200 refund, but there really isn't an amount that would have made up for this. Additionally, outlet covers were not on, blinds were laying around, paint supplies out, and PVC pipes were laying around both inside and outside on the screened in balcony. The master suite tv's sound is bad, it has a static/ blown speaker kind of sound. The tv in the living room has such a poor picture that we could not even read the players' names while watching football. All of the bed linens are very old and pilled. They need to be replaced. This condo is very well maintained. It is just like walking into someones home. Close to many awesome restaraunts. Would absolutely use again. This is a great location short distance from shopping or water sports. it was nice to have cleaning equipment to use. It would of been nice to have wash & dryer in room. My wife and I took our 2 adult children on our last family of 4 vacation last week. (They are both getting married next year.) Bob and Jeanette's 2nd floor Sea Gulls condo was amazing. The furnishings alone were incredible. If I had a place on the ocean I would want it decorated like theirs. We spent a lot of time on the large screened in deck and when you are not on the deck the view was great from every room in the condo. The unit had everything you would need. Dishes, pots and pans, beach towels, fishing gear, plenty of linens and 2 TV's although I only watched the PGA Championship. The pool was very nice and we met some great people. Great nearby restaurants. I would recommend Marker 88, Snooks. Hog Heaven. Jeanette was very upfront about the construction that is going on but her unit seemed to be away from the heavy work. It was also nice having a covered parking space. A little heads up though, if you arrive at low tide the seaweed smell can be tough, but it gets better at high tide. Upon arrival we were greeted with un made beds, wet towels on the bathroom floor and condo not cleaned. Once we notified owner, the next morning she called the cleaning company and apologized for the mix up. Ocean view from all rooms were beautiful. Condo property itself was damaged from the hurricane and a lot of construction was going all all hours of the day. Pool was nice and sandy beach was wonderful. Be aware the beach the beach water is very muddy not recommended for swimming. No washer and dryer in the unit was a bit of an unconvience, but we knew that a head of time. Over all the owners were very helpful. Just be aware that the Keys are still trying to re build from the hurricane so most properties are under construction. We loved our stay in this beautiful oceanfront condo. 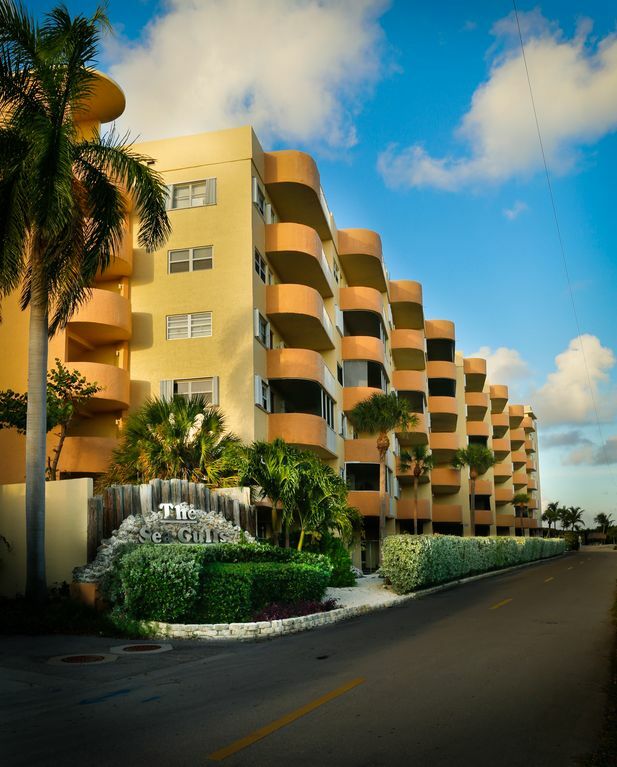 The location was perfect – very convenient to all that the Keys has to offer. Jeanette went out of her way to make sure we were comfortable. We were close to many great restaurants and Jeanette provided great recommendations. I would definitely stay here again. Thank you so much Kathy I’ve sent you a check for the toaster come back again ! First visit to the Keys. Staying in the Key Largo area was the right choice. The condo has a great view of the beach, and is situated near shopping necessities and great restaurants. The condo owners provide you with a well appointed two-bedroom, two-bath unit with both bed-rooms on the beach front which greet you with the morning sun. A large screened balcony provide for both dinning and relaxation. A great place to rest, relax and enjoy the tropics. Gehen Sie zur Founders Park inbegriffen --village Strand und healthwalk-- Große olympischen Pool hier mit Wander Strand und Jachthafen. Meile Marker 88 Restaurant verfügt über Strand und surreys zu rocken, wie Sie Wasser zu beobachten. Sie haben Hummer Mango Guacamole. Morada Bay Restaurant hervorragend bei 82 mm, so ist Snappers auf 95mm tollen Blick auf das Wasser und leckeres Essen.